Is 2018 the year you or someone you know intends to retire? If so, a big part of that plan will likely involve some serious decisions about long-term housing. Are you anticipating that you’ll be included in the 15 percent of Canadian seniors who still have an outstanding mortgage on their homes? If so, you need to recognize exactly how much extra money you’ll need in retirement in order to cover your housing costs. If retirement is on the horizon but not yet imminent, you’ll want to work with a financial planner and mortgage professional to see what you can do to reduce or eliminate your mortgage debt before you retire. Bumping up your monthly payments now, while you’re still waiting, will help the debt disappear quicker. If you can reference to a lower interest rate but keep your monthly payments the same, you’ll also be able to chip away at your principal faster. Consider if you still need your current space or if a smaller home would make more sense. A smaller space typically results in lower home operating expenses and less work to keep the household humming. Where Do Extra Payments Go? 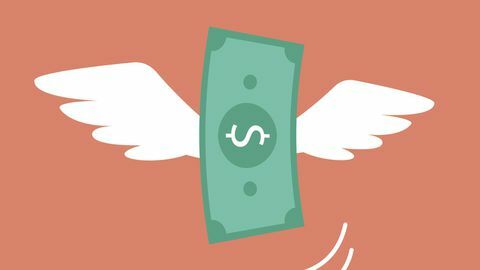 If you were lucky enough to get a raise earlier this year, or found yourself in possession of a one-time lump sum, you may have asked to have that extra amount applied directly to your mortgage. If you have a relatively new mortgage, you may be wondering why the interest portion of your monthly mortgage payment is not noticeably declining by now. The reason is that the interest portion of your payment is calculated on the outstanding balance of your mortgage which, especially in the early years, makes up a significant portion of your monthly payments. As your mortgage term progresses and your principal starts to shrink, the amount of money that goes directly towards the principal increases while the amount that goes toward the interest declines. Any time you make extra payments, they go directly toward reducing your overall principal balance, and with that lower principal you’ll pay less in interest overall and shave years off your mortgage. Please ask for an example, based on any extra amount you may be able to put toward your mortgage on either a one-time or a monthly basis, of how much time AND money you could save! For More Information, Contact The Mash Team! We have several times, and its very stressful. 2. Don’t have large or unusual changes in deductions or credits. 3. Don’t claim large home-office deductions. 4. Don’t Claim 100 per cent business use of a vehicle. 5. Not reporting income from a T-slip. 6. Don’t Report income much lower than other residents in the same area. 7. Don’t Claim an aggressive tax shelter. 8. Don’t have Recurring losses from a rental property. Variable-rate mortgages are determined by the prime interest rate, which is in turn linked to the overnight interest rate the Bank of Canada just lowered. “It remains to be seen just how much [the banks] are going to cut the prime rate, but it will be cut,” said Graham. As of Thursday morning, none of the big banks had trimmed their prime rates. TD Bank said Thursday it had decided not to cut its prime rate, a decision that “was carefully considered and is based on a number of factors, with the Bank of Canada’s overnight rate only being one of them.” Royal Bank of Canada said it is “considering the impact” of the central bank’s rate cut, but is not changing its mortgage products at this time. Scotiabank told CBC News it had not yet made a decision on whether to cut its prime rate. “There’s not going to be a massive change, but at the same time … if you’re not earning much interest before, you’re going to be earning less interest now,” added Bartlett. Shop around – When your mortgage comes up for renewal, you aren’t limited to using the same lender. Take a look at what other financial institutions or mortgage brokers have to offer. We can put you in touch with a choice of lenders and help you evaluate the various options available to you. Consider all your options – When evaluating mortgages, remember there are other factors that can have an impact on cost in addition to the interest rate. The opportunity to make supplementary payments against the principal has significant value. Penalties for early termination can also have an impact on how quickly you can retire your mortgage debt. Make payments as frequently as possible – Most lenders will allow you to change the frequency of your payments during the term of an existing mortgage. Speak to your lender and choose the most frequent schedule of payments available to you. Choosing weekly payments versus monthly can literally save you thousands of dollars and help you pay off your mortgage years earlier. Generate additional income from your property – Renting out a portion of your property to earn income is a time-honoured practice that still holds true today. Sacrificing some living space in the early years of your mortgage can ‘jump start’ your payment schedule. Lump sum payments applied directly to your principal early in your mortgage term will have make a major impact on paying off your home quickly and achieving financial independence. This can easily be done in the Durham Region as long as you meet the Regions guidelines.